A password cannot be less than 8 characters in length. Atleast one special character or number is required. 2. 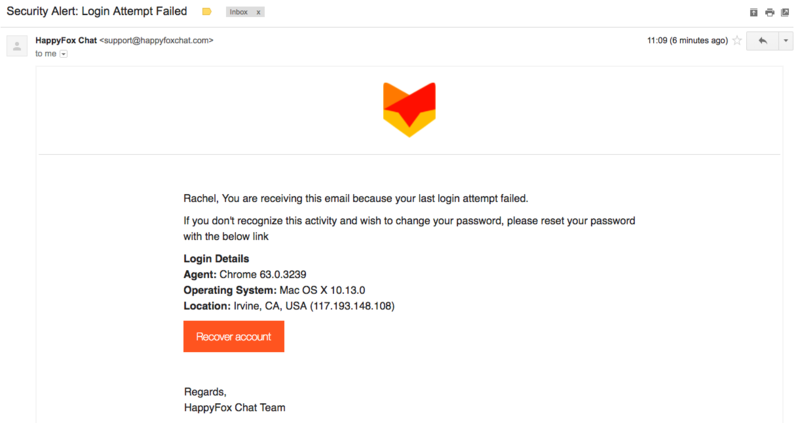 Whenever an admin/agent changes their password, an email notifying about the password change will be sent to their registered email address. 3. 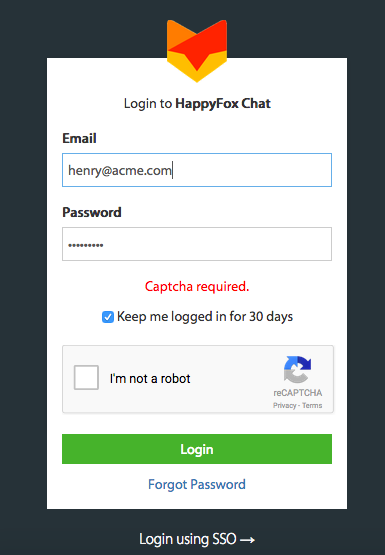 After 2 invalid login attempts, you will be prompted with a captcha to confirm that you are not a bot. 4. 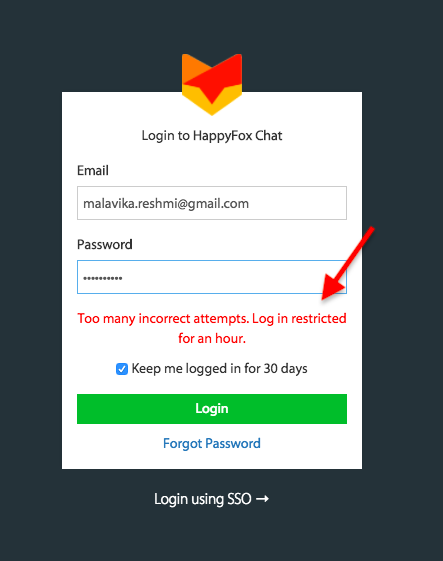 After 5 invalid login attempts, your account will be blocked for an hour. 5. 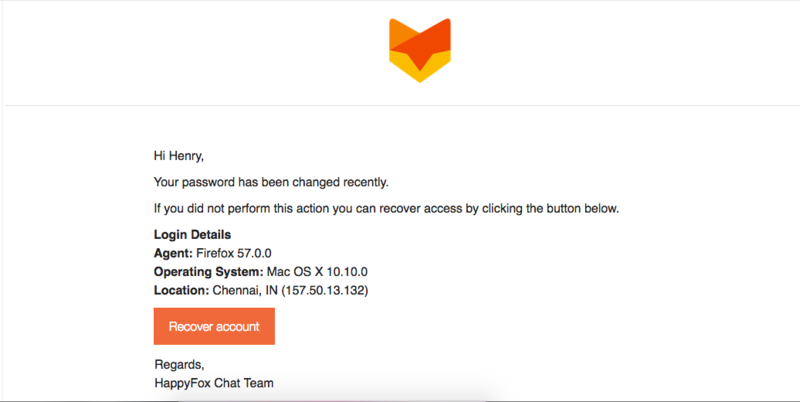 An email will be sent to the login email address for every invalid login attempt(s).